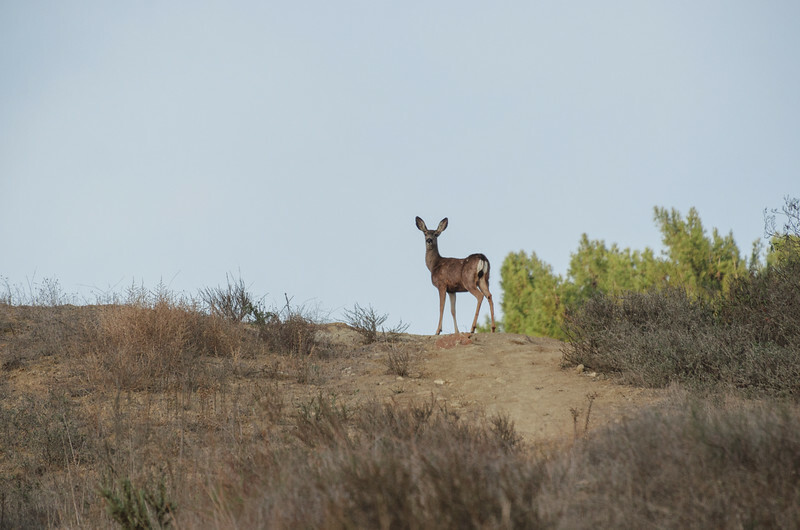 A mule deer in Franklin Canyon Park in the Santa Monica Mountains above L.A. I could have cropped it, but I like the composition as is. Sky, brush, deer. Simple. Taken with my Nikon D5100 and Nikon 70-300mm telephoto lens -- a great telephoto for DX cameras that I bought used for $450 from B&H last year. On cropped sensor cameras such as the D5100, the telephoto actually has a reach of 105mm to 450mm.